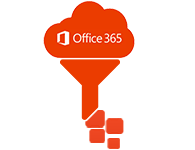 Backup your cloud stored Office 365 Outlook mailbox locally on your machine with Office 365 backup tool. The software support saving of complete Office 365 mailbox in the form of PST & EML file format on to your local system. 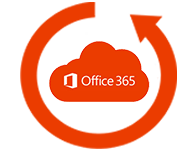 Backup Office 365 to PST utility can perform an on-premise backup of complete O365 mailbox including all data items such as Emails, contacts, tasks, to-do list etc. that too in just fewer clicks. Entire O365 mailbox data is stored in PST file format after moving email from office 365 to Outlook at the specified location. Office 365 email backup software support impersonation facility according to which office 365 admin account holder can backup or archive mailbox associated with each user accounts. Separate PST file will be created for each user account mailboxes after Office 365 to PST backup. 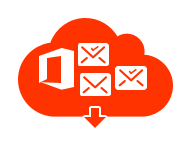 Save and export emails from Office 365 to Outlook on the local system by applying filters. The software offers different filters for taking backup of cloud storage Office 365 data on user’s machine based on his requirements. Office 365 backup software offers filters like date and mailbox filter, data by user account etc. 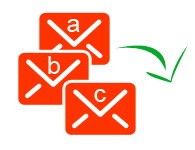 The software takes the Backup Office 365 mailbox and saves the emails in easily understandable and suitable format. Utility applies naming convention onto the data like according to the subject, subject + Date etc. This facility provides easy management of archived files after moving email from office 365 to Outlook. Saving or Archive office 365 mailbox to PST &EML into a local system will not affect the overall integrity of emails & the metadata associated with it. All attachments will remain intact without harming a single bit. The main priority of Office 365 email backup software is to provide data security to the user. 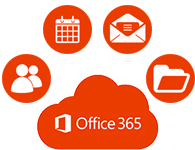 Office 365 is the web based subscription service that gives you anywhere- access to the group of software's and services. The most common service it offers include access to the MS Office applications & tool such as Word, Excel, Access, Publisher, PowerPoint and Outlook with one drive cloud storage facility up to 1TB as per user license. In addition it offer wealth of communication and collaboration tools such as social networking services, public websites etc. for business and enterprise users through hosted versions of Exchange server, Skype for business server, SharePoint, integration with Yammer etc. Why we Need to create Backup of Office 365 Mailbox locally? 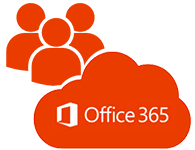 Office 365 is a suite of cloud based services built around the Microsoft platform. All the data get stored on Microsoft cloud data center to provide anytime & anywhere availability. Office 365 exchange mailbox contains email, calendar & contacts that will only be accessed if someone is connected to the internet or server. There is no provision of reading or accessing the data on offline mode. As well as the data stored on cloud is somehow prone to cybercriminal activities that may lead to data loss , data alteration or modifications and data corruption which will affect the overall integrity of data. Having backup of Office 365 account data into local machine in Outlook PST format will provide a mechanism to have access to the Office 365 mailbox emails, contacts and calendars even in the absence of internet or server connectivity. Plus it offers a replica of entire Office 365 mailbox which can be restored back to Office 365 account to deal with catastrophic scenarios and thus avoid data loss. User Account Filter: Software allow admin to choose among the various available user accounts when you checked the impersonation facility. 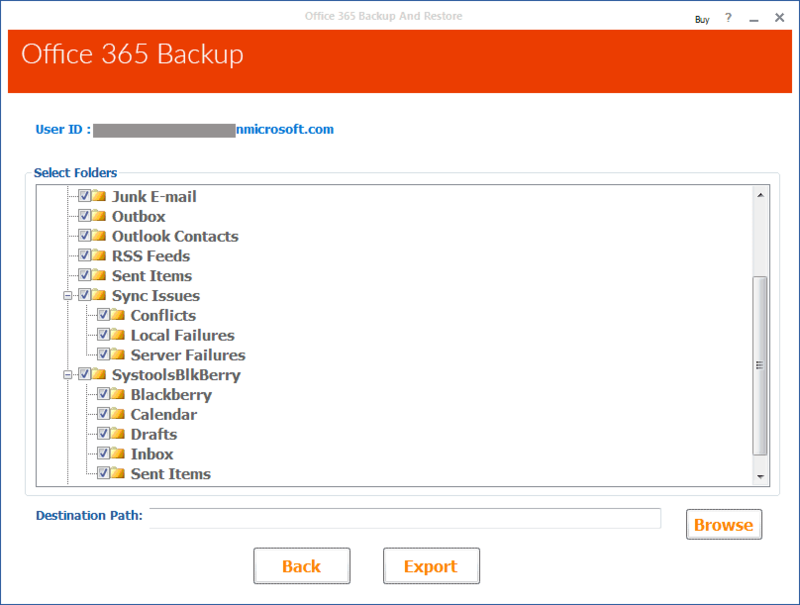 Filter out user accounts as and when required for office 365 mailbox backup. 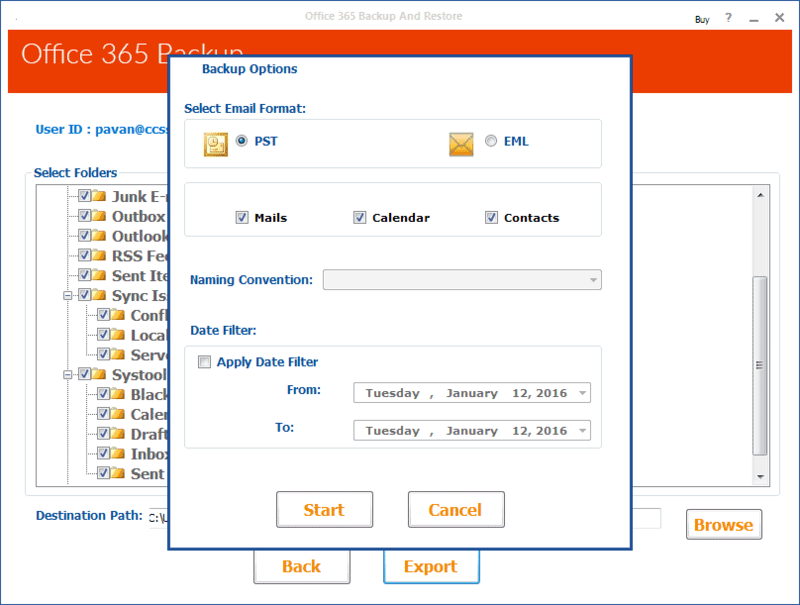 Mailbox Filter: Selective export of Office 365 mailbox is possible with this tool. Select from the Email, Calendar & Contacts data items whichever is required urgently. Date Filter: Specify the date range in order to limit the backup process for particular dates. 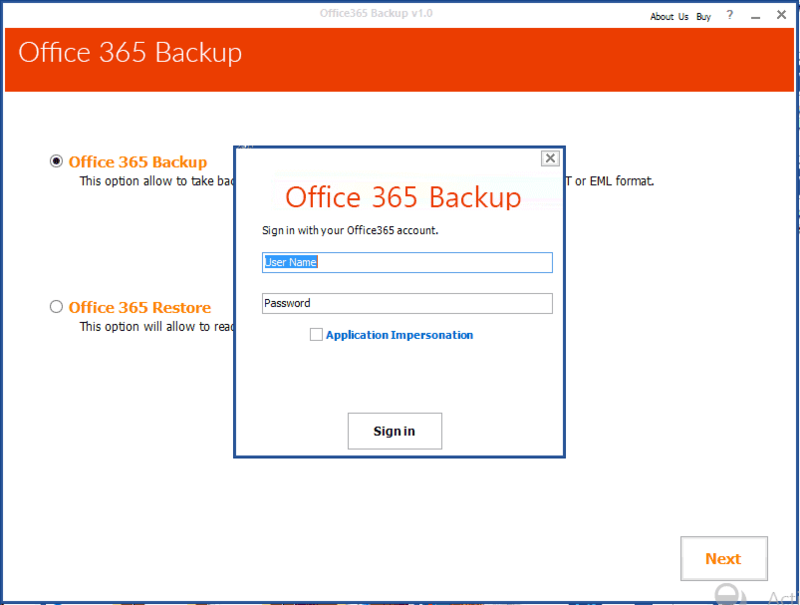 Step 1: Provide Office 365 Credentials to run Office 365 backup Tool. Step 2: Specify Export File Format among Outlook PST or EML & apply Filters. 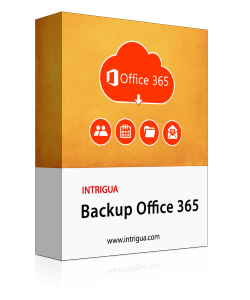 Click and play this interactive video of INTRIGUA Backup Office 365 Software that help you to know how to backup Office 365 mailbox to PST on your local system to provide offline availability. This video is created for our user to get a quick reference of software working and its features. Does backup Office 365 tool export complete data into PST format? Yes, Full version of Office 365 backup tool successfully export entire mailbox with attachments and metadata into PST & EML format without losing a single bit information. 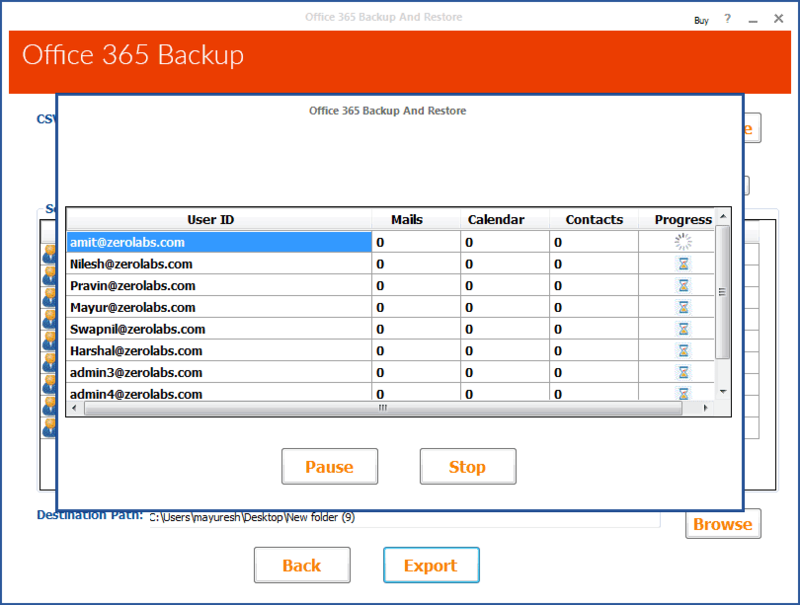 Is it possible to take backup of multiple user accounts of Office 365 at once? Yes. If you have admin Office 365 account then you can use Impersonation facility of tool to take backup of multiple user accounts at once by browsing CSV file containing all user name & password. How can I use impersonation feature in Office 365 email backup software? Impersonation facility in Backup Office 365 to PST or EML is provided to user admin specifically. If the user admin wants to export the entire mailbox of a particular organization then this feature can be applied. This will help admin to move multiple user accounts by adding the required user list via a CSV file. I only want to move my calendar from Office 365 to PST Outlook format. Is it possible using your application? Intrigua Backup Office 365 mail to PST provided you the feature of exporting specific data items. While selecting the export type, the tool will ask you to specify the mailbox items like calendar, emails, contacts etc that you want to archive in PST file format. Hence choose calendar only to take backup. I am really grateful to my colleague who recommended me to use INTRIGUA Backup Office 365 Mailbox tool. It helps me create backup of Emails, calendar and contacts from Office 365 account and save them in local machine making it easily accessible. I was worried when I needed to switch from Office 365 email client to a desktop based Email platform Outlook but with the help of INTRIGUA Backup Office 365 tool, I could easily export entire contents of Office 365 mailbox into MS Outlook PST file.